Mill Lawn Brook rises above Burley and heads south-east. It flows under the A35 between Lyndhurst and Christchurch road at Markway Bridge where it becomes known as Oberwater. 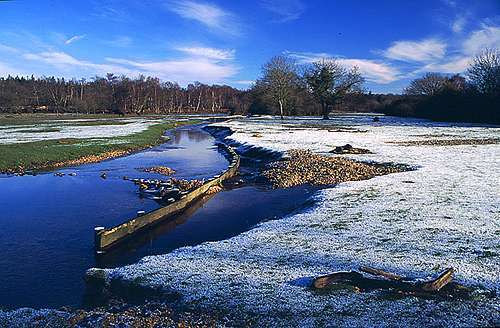 As part of the Forest LIFE III initiative, the course of the stream above the A35 has been reverted to its natural course following straightening last century.